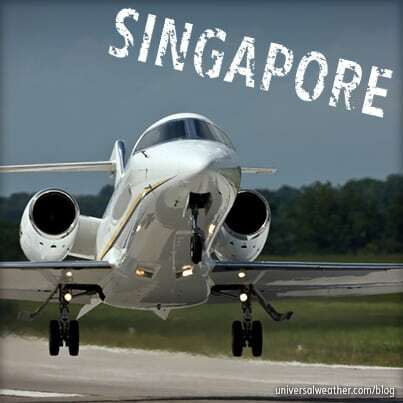 This business aviation blog post is the first part of a two-part series. 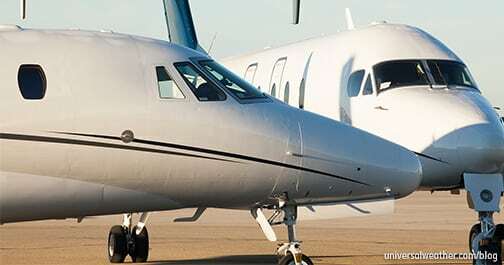 While in-flight caterers are usually the preferred and safest option for most business aircraft operators, there will be times when you’ll need to consider self-sourced catering at more remote locations. Here are some tips for success while maintaining safety standards in the world of do-it-yourself catering. ✈ You are in a remote location and there just aren’t in-flight catering services available. Solutions are limited but do exist. 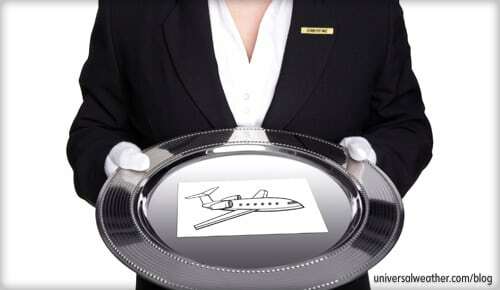 Examples would be to utilize the services of a commercial in-flight caterer or a well-established restaurant or hotel. ✈ As an operator, you believe that you can control costs by utilizing less expensive self-catering options. In this case, you simply have to weigh the costs of the catering against things like duty time, food safety (particularly in the time-and-temperature arena), and applicability of the food and packaging for the cabin environment. At a remote location, self-catering from a local restaurant gives you additional options, particularly if you know and trust the restaurant. For short flights, self-sourced sandwiches or fruit trays may be cost-effective and easy options. 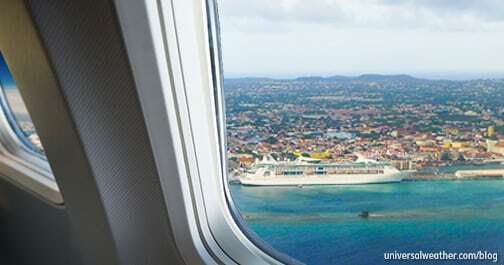 In addition, if much of your catering is cabin-related supplies, such as assorted beverages or snacks, you can purchase the exact item you are looking for or at least make knowledgeable substitutions when needed. Food safety may become an issue if ingredients are not suitably separated and refrigerated. 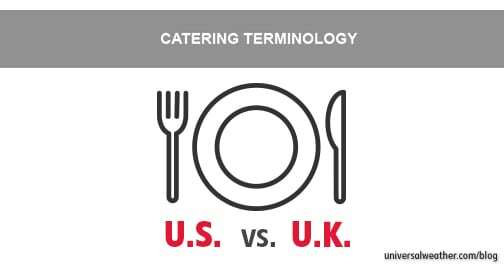 Catering sourced directly from restaurants may not be packaged in a manner suitable for your galley. Meals produced by restaurants for immediate consumption cannot be safely stored for any length of time in an unrefrigerated environment, and flavors will be affected. At some locations, it may be difficult for crew to bring catering with them through security checks. The meal your passengers enjoyed in a restaurant may not translate into the same experience when served onboard. And, while you may think it may be less expensive to self-cater, you may be creating additional workload for the crew. The best course of action is to get involved with the catering in the beginning stages of planning your trip. You want to know your options beforehand to better prepare, and, once delivered, you will need to carefully inspect the catering to make sure everything you ordered is there and is safe for consumption. Obtain restaurant recommendations from your ground handler and, ideally, provide the restaurant with packaging appropriate for your galley. Talk with the chef about how ingredients will be cooked, cooled, and separated. You may want to sear or partially cook protein entrees, and then have them chilled for re-heating or final cooking later. Sauces should be separated from protein and salad courses. To be safely packaged, your catering should be cooked, cooled, and assembled cold. A quick hint to know if your food was packaged hot is to look for condensation inside the packaging. If the food was packaged cold, then there will be no steam and no condensation. Ideally, the first condensation should develop when you are reheating your meal onboard the aircraft. Evidence of condensation should be considered a warning sign that the meal was packaged while hot, and therefore, the time exposed to “danger zone” temperatures was less than favorable. It doesn’t necessarily mean that the items aren’t safe, but it does mean that you will need to be extra vigilant when you check the catering for spoilage. Vegetables usually taste and look better if cooked only once onboard. An example would be to ask for your spinach to be delivered raw, pre-dressed in olive oil, salt and pepper, then simply heat in the oven to wilt and experience that bright-green, freshly cooked result. All food should be delivered outside the “danger zone,” which is either below 40 degrees F (4.44 degrees C) or above 145 degrees F (62.7 degrees C). Be sure that catering remains appropriately chilled with wet ice or gel packs until it’s ready to be prepared onboard. Gel packs are available as silicon pillow sheets that weigh mere ounces and allow for easy storage onboard the aircraft. They can be given to a caterer to hydrate with water and freeze. In as little as four hours, your caterer can have ice packs that are less messy than wet ice delivered with your catering. Dry ice is an effective option when you need to keep ingredients frozen for longer periods of time, but dry ice should not come in contact with food. For this reason, it’s recommended to use cardboard dividers to separate the food from the dry ice. If you have any questions about this article, contact me at rogerleemann@airculinaire.com. Next week, we’ll discuss alternatives to the self-catering options described in this post. Got a question for Roger about this article? Air Culinaire Worldwide Senior Vice President of Culinary Operations, Roger Leemann has more than three decades of experience in the food industry, the majority of which have been spent in the aviation catering sector. Roger, who has been with the Air Culinaire Worldwide team since 2001, is an expert in aviation catering menu development and training for business aviation operators. 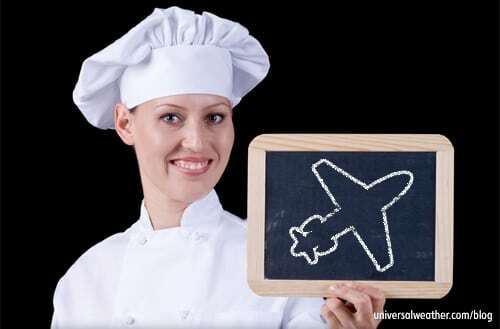 In addition to his work training Air Culinaire Worldwide's chefs, Roger frequently works with pilots and flight attendants, educating them on how to prepare food in-flight, what to expect in packaging, and best practices for in-flight catering. Air Culinaire Worldwide, a Universal Weather and Aviation, Inc. company, serves in-flight catering to hundreds of airport locations across the globe. 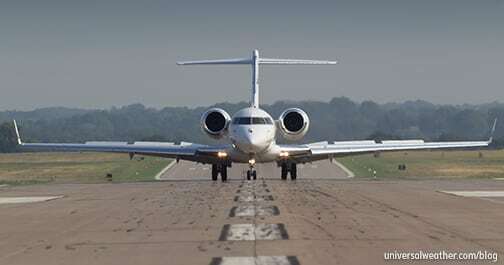 Since 2000, business and private aviation operators have relied upon the organization. With 21 owned-and-operated kitchens and hundreds of associate catering partners on six continents, business aviation organizations receive the total in-flight catering experience from one resource, Air Culinaire Worldwide.